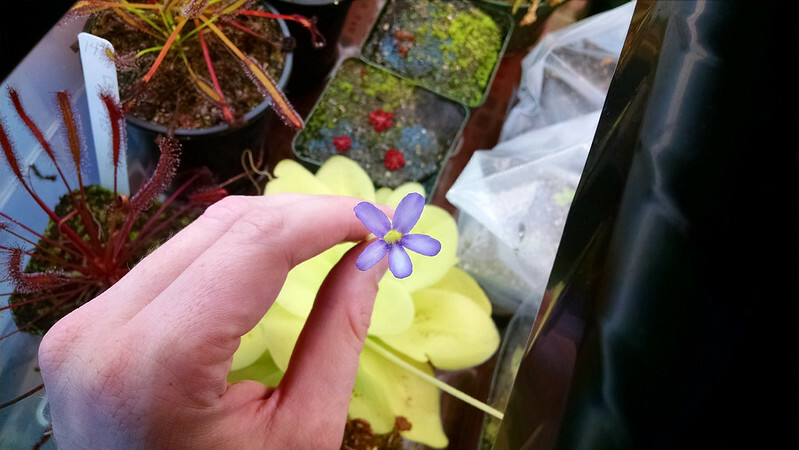 Pinguicula gigantea is going all to pieces (it's great) |Sundews Etc. 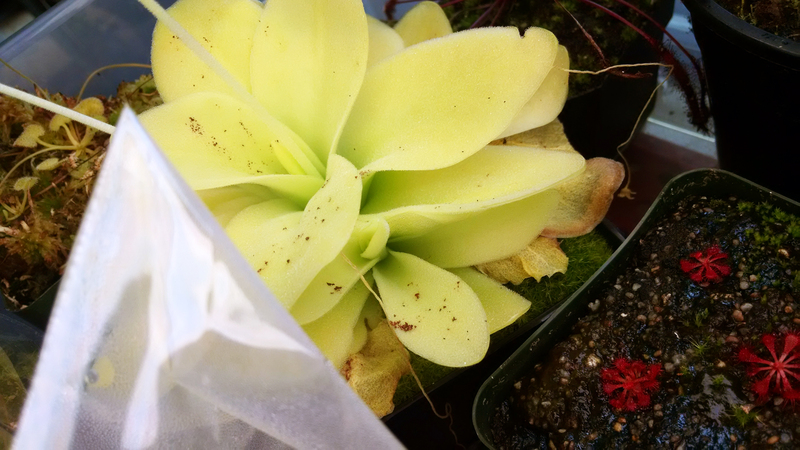 So back in May I noticed that my Pinguicula gigantea had developed a second growth point. It also started blooming back in April. Well, it's been growing and blooming continuously and doing great, and just the other day I noticed that it's split again. What a great plant! One little plantlet on the left side. Another little plantlet on the right. And a cute little flower up top! 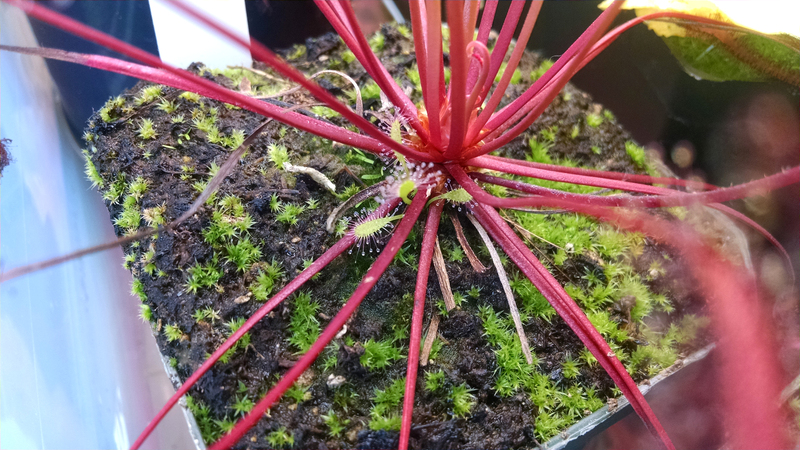 Of course, now I really have to divide and repot this plant. Maybe that will be my next big chore. After taking these pictures, I decided to take a second look at all my other plants to see if there were some other offsets I hadn't noticed. I found a few! Pretty sure this is the first proper offset from any of my Drosera capensis 'Albino'. 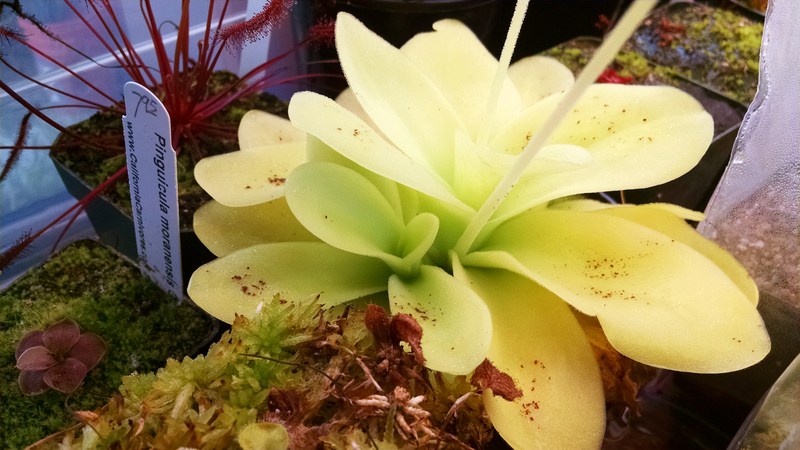 Of course, I'm already awash in D. capensis 'Albino', but that's fine. 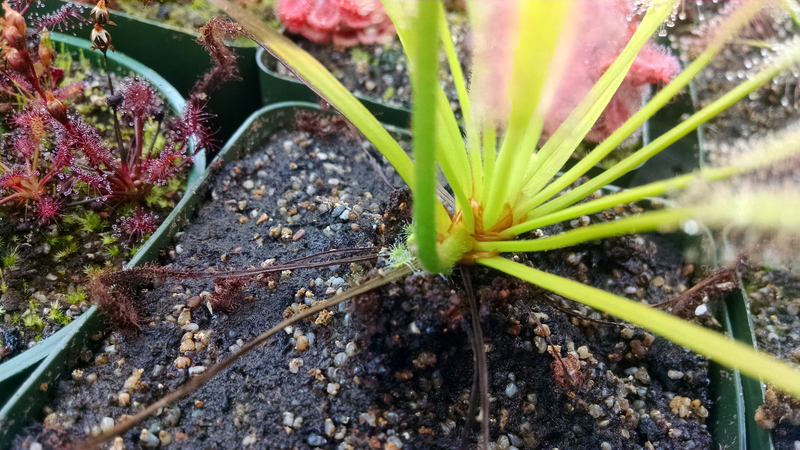 I'm not sure if the little plant here is a D. capensis red or just a stray D. capensis 'Albino' or typical seed that found its way in here. 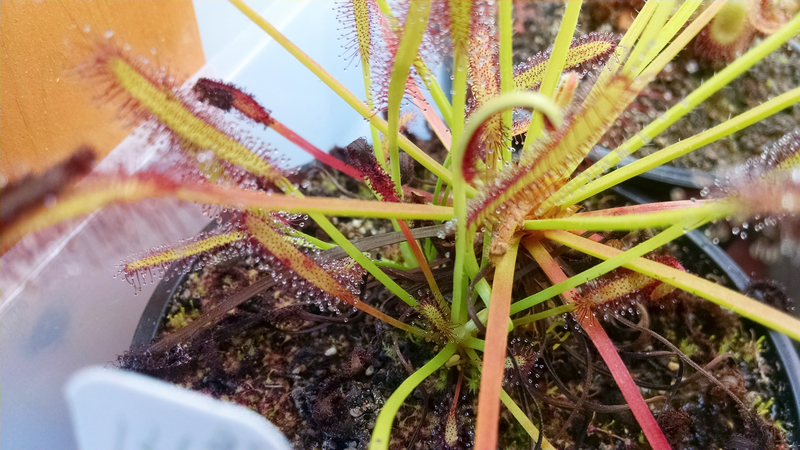 The tentacles look awfully pale to be the red form of D. capensis but I guess we'll see. 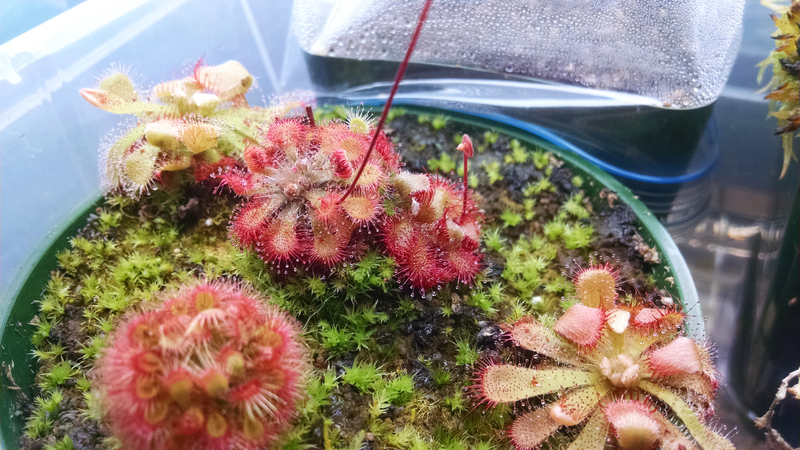 Of course, my two largest D. capensis typicals are offsetting like crazy. 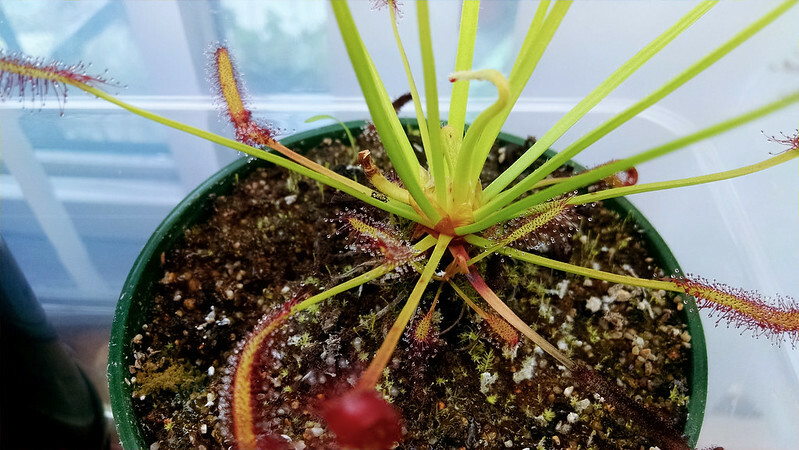 This is my first-ever carnivorous plant and it's just chugging along. This plant is really glad to not be suffering outside in the wind. 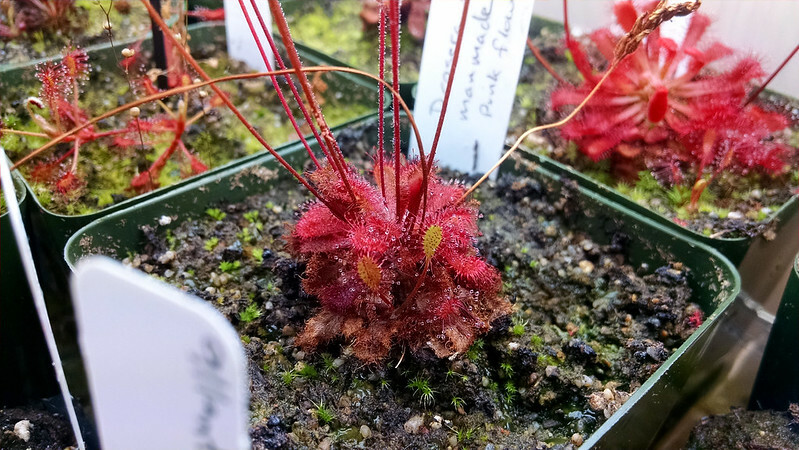 I don't remember if this Drosera adelae had the offset when I repotted it, but it's certainly gotten bigger. Also, it's appreciating having been recently fed. D. adelae responds very well to food. I'll be looking for a growth spurt in the next week. 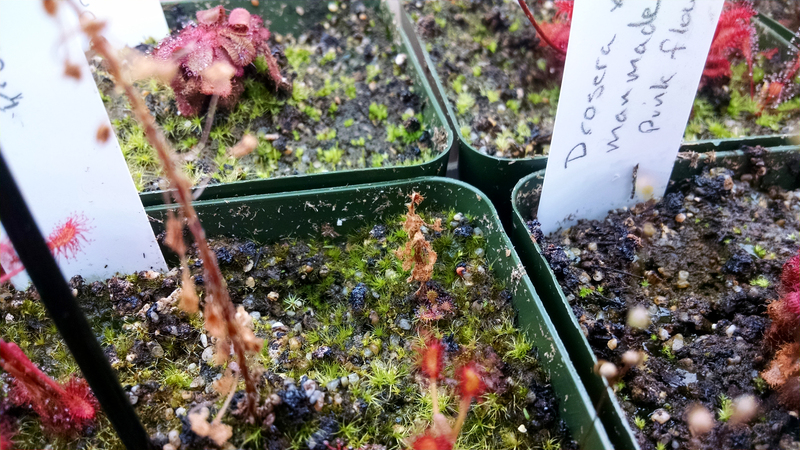 The Drosera tokaiensis plants in the first pic below have been growing together for a while, but the one on the right is blooming for the first time. 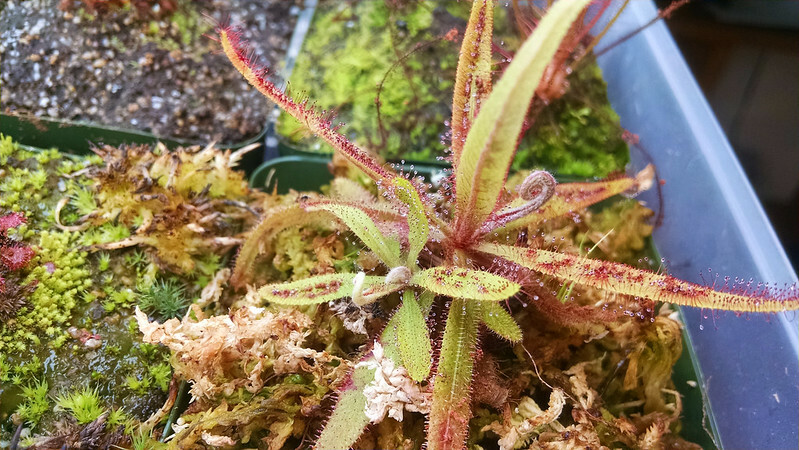 The D. x tokaiensis sterile hybrid in the second photo may have an offset up front, or it may be a weed, hahahah. This is one of my favorite pots. I like the little plant community here. This hybrid has great color and is extremely bloomy. This last is the most exciting though. I was sure I had lost this little Drosera madagascariensis seedling, but apparently the roots hung on and have started to grow a little plantlet. It's right there at the base of the dead stem. Awesome! I think D. madagascariensis is one of the cutest sundew species. I've said this before, but I love finding surprises in the collection. It's so much fun!